every customer to create a custom fly rod built just for them. 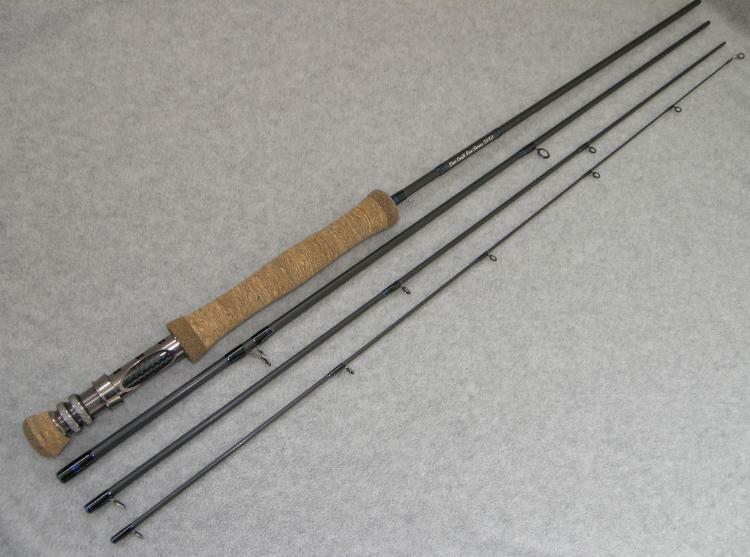 brown burled cork with rubberized cork ends, Titan guide set and black wraps with Royal blue trim. the seat insert and thread wraps is your choice with a custom fly rod. 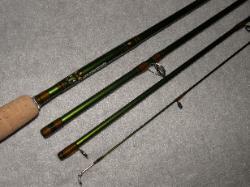 thread and easy cleaning of the rod. 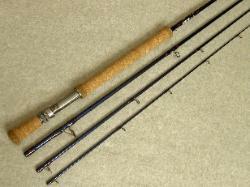 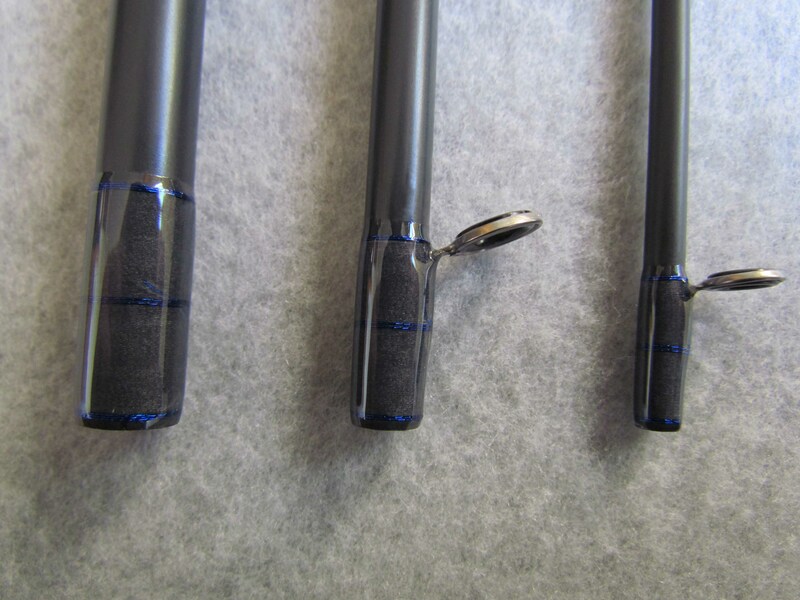 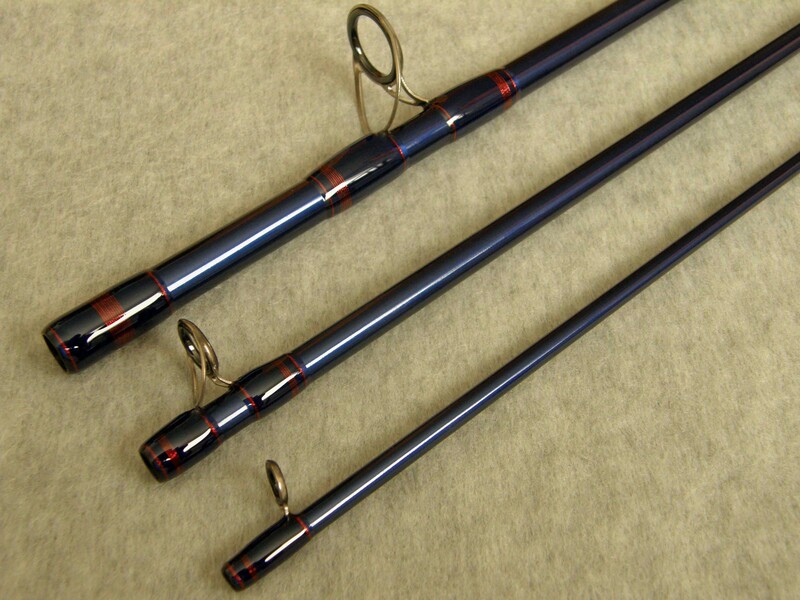 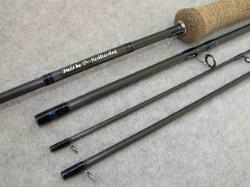 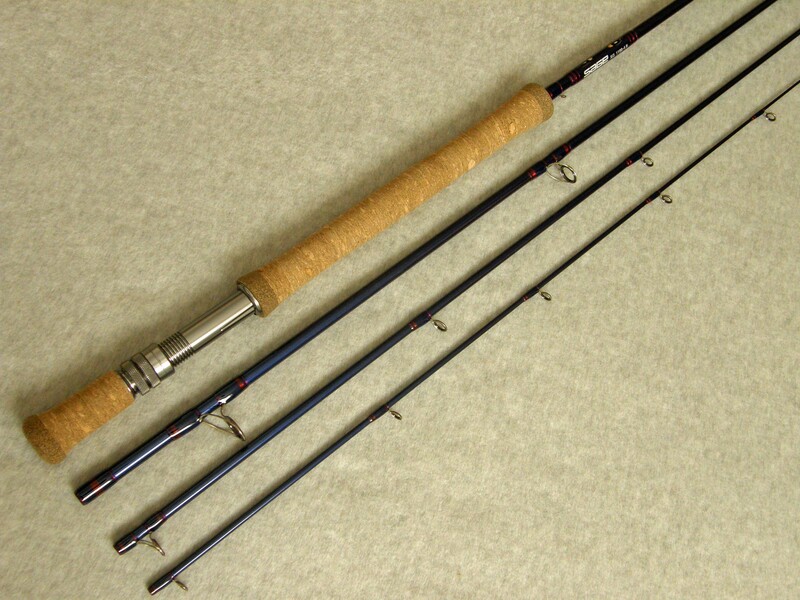 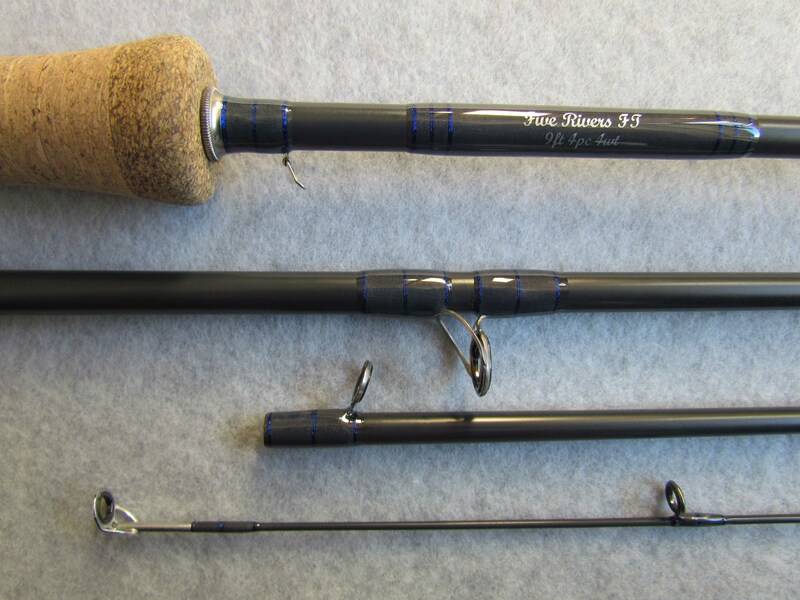 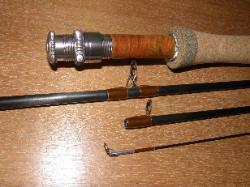 Personalization of the rod is the customer's choice. 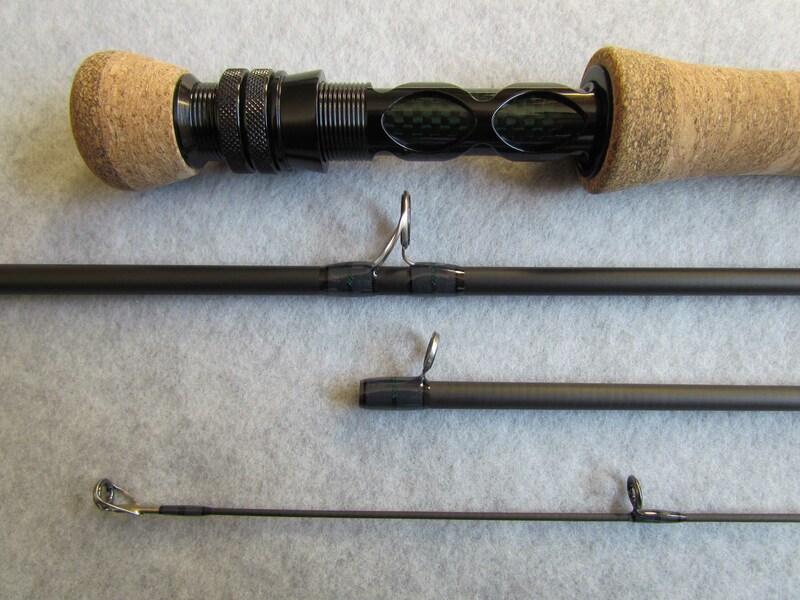 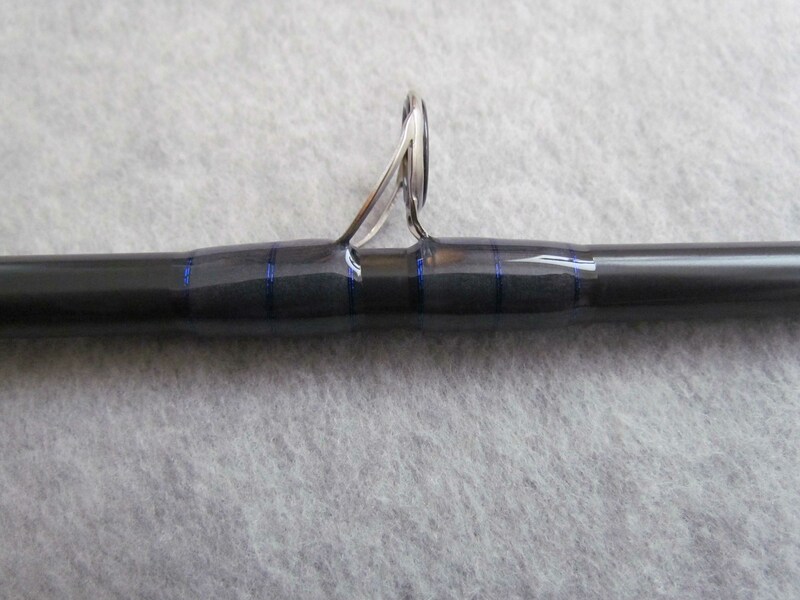 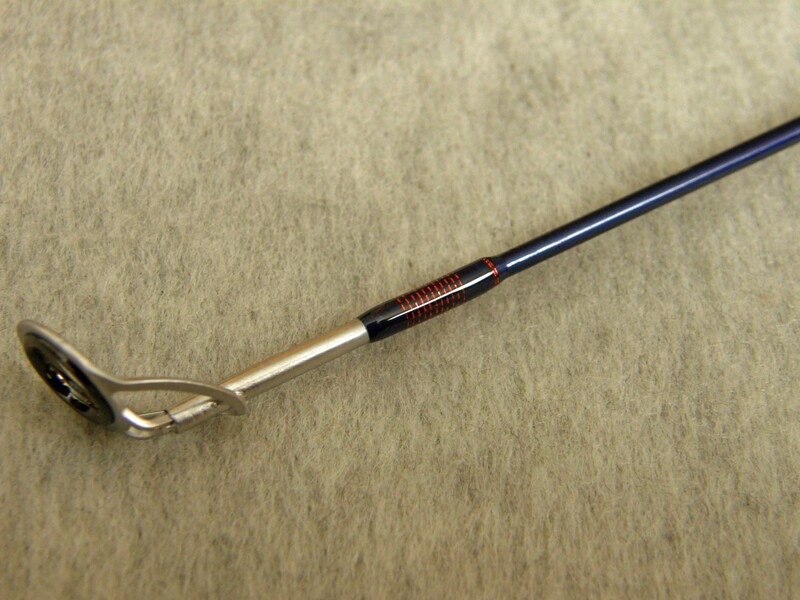 check and hook-keeper are standard but not required to cover up an improper fit of the grip. 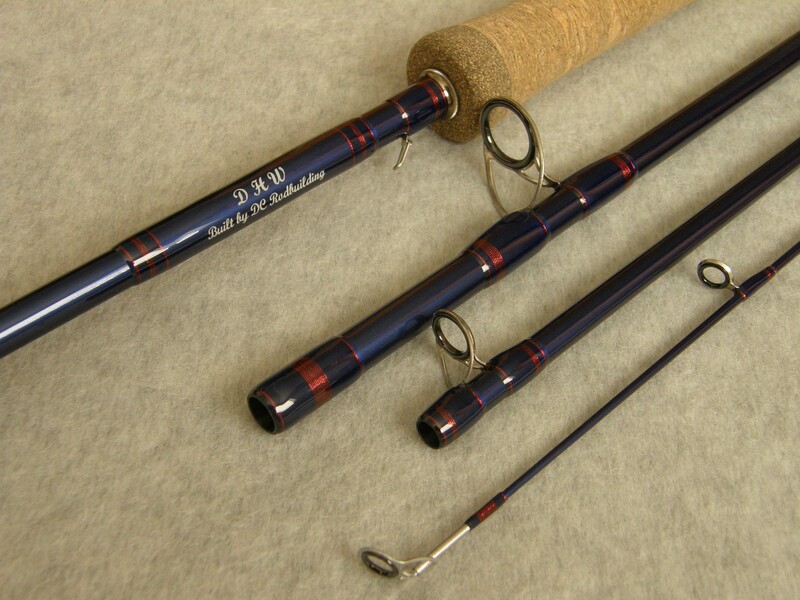 casting and extra fish fighting leverage. 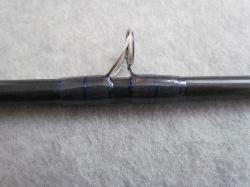 The 2 1/2"
enough length for occasional two handed casting. 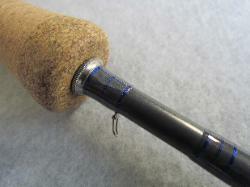 the guide and a premium look to the finish. 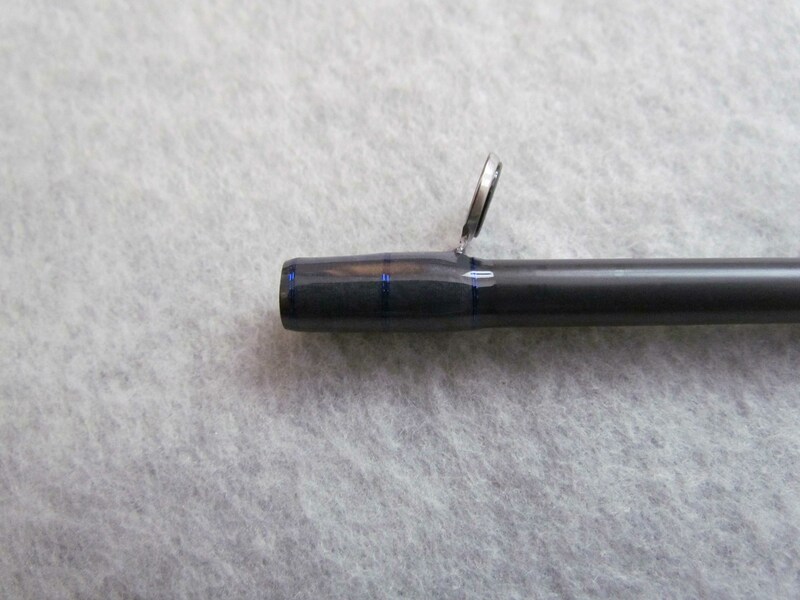 and a smoother premium look to the finish. 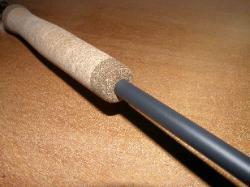 with the decorative spiral and end trim. supersized by clicking on the photo.